The MW08 Microwave Path Alignment Tool is the aligning device of choice when measurement accuracy is crucial. All of Sunsight’s alignment products meet the needs of their defined applications, but periodically something special comes along that needs the extreme capability of the MW08. 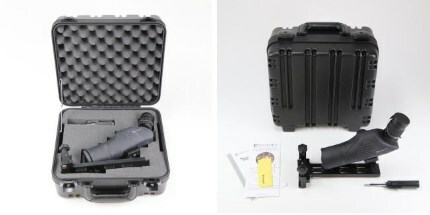 The MW08 has been used on various commercial and defense related special projects. Typically a semi-custom system is created by Sunsight based on the customer’s requirements. Many design configurations of the MW08 already exist, so the path to a customer’s specific application is usually short and cost effective. Sunsight’s Microwave Path Alignment Kits have revolutionized how Microwave Antenna links are aligned. 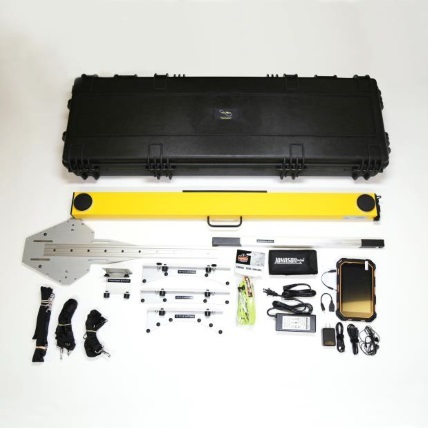 The Microwave Path Alignment Kits are self-contained alignment systems for aligning microwave links at any line-of-sight distance. These patented (US 9,781,233) systems calculate the required alignment, including both azimuth and elevation, in real-time using the exact GPS location of both ends of the microwave link. 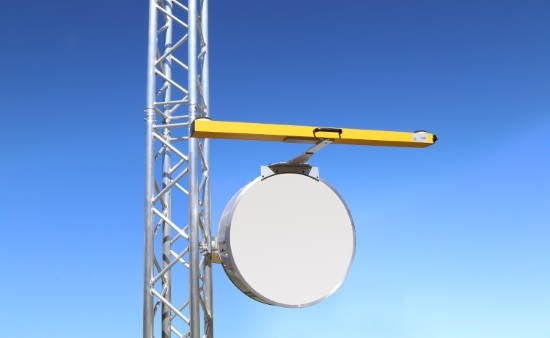 Some of the advantages of the microwave path alignment products produced by Sunsight are that no active radio transmission is needed on the path being aligned, so removal of the radio or coax is not required. The kits are also completely frequency independent. They are an overlay solution working from the exact GPS locations of the antennas; each of the MW units automatically calculates the required azimuth and elevation. The two units included in the kit work in paired mode or independently, if required, to determine the required path parameters. You will no longer have to wait to find the RF signal from the other side, saving time, frustration, and resources. This state of the art Microwave Path Alignment Kit will take on your toughest path alignment jobs. The MW08 Microwave Path Alignment Tools are also available for purchase in a single unit. The MW08 single unit offers all the same features as the kit and can perform the patented end-to-end alignment when paired with a second MW08 unit. 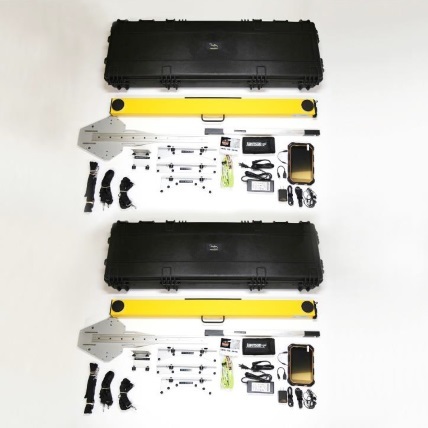 All-inclusive MW Kit includes two alignment units to allow simultaneous alignment of both sides of the link in minutes. The MW units can be used independently to align one end of the link at a time which creates flexible installation schedules for customers. MW Kit software determines the required path alignment automatically (target azimuth and elevation) which eliminates problems from data entry, incorrect path data sheets, or changing antenna locations. Azimuth, elevation, height, and location (Lat/Long) are captured into reports for customer and government communication agency records. Designed with standard mounting points to facilitate creating custom mounting solutions. Has the flexibility to support custom requirements for customer software and packaging of the product. Reduces climber fatigue and time on tower. Faster and safer. Intuitive use of the kit. Both climbers are presented with target and actual alignment values and are able to view the remote end’s alignment progress as well. Measures AGL height if required (with laser rangefinder option). MW unit calibration can be done in the field by user in less than 2 minutes. Used to measure AGL Height. For taking azimuth measurements with the AAT from the ground. Copyright © 2019 Sunsight Instruments. All Rights Reserved.